Grassington House is making its own hand-churned butter and it’s so popular an apprentice has been taken on, whose main artisan craft is to keep fresh butter stock high. 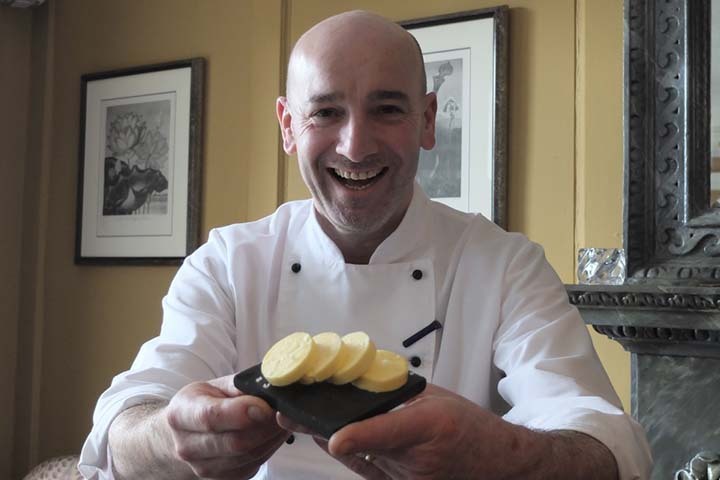 “Since the Brexit vote, the price of butter has shot through the roof.” Says owner and Executive Chef John Rudden. “We were finding ourselves spending considerable extra money and it seemed daft. We are here, located in the heart of farmland in the Yorkshire Dales, why not make our own butter? The 40-cover restaurant with rooms is now sourcing buttermilk and cream from the village dairy, and hand-churning it to order. It is saving Grassington House on average 20% on costs each month. And Sue and John have had positive feedback from their customers. Grassington House is a recent winner in the Skipton Business Awards for Food & Drink, and a Finalist in the Visit England Awards for Excellence.